Now that\'s scary, and beautiful. Pretty much like life itself. 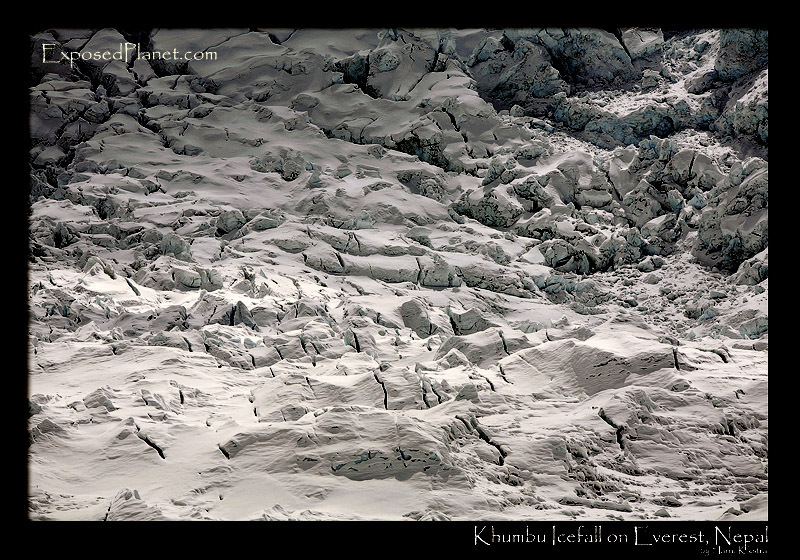 The story behind "Khumbu Icefall, Everest"
The most dangerous part of Mount Everest is just above Basecamp on the Nepal side. This mess is in fact a flowing river of ice, breaking into many huge pieces. To cross this, dozens of ladders are used to bridge all the gaps and many people have lost their lives when these huge blocks of ice suddenly collapsed. Shot before the climbing season started, so no trails yet, but the part you see here has a height difference of several hundred meters, about a thousand feet.